Today’s youth are more astute than the youth of the past and they have seen firsthand for example how things like smoking and lung cancer have killed millions. For this reason, smoking is less common in teens than ever before. It’s an obvious danger. Yet today’s youth are at the forefront of the opiate epidemic using painkillers to escape reality and overdosing at an incredibly high rate never seen before. Why? These drugs are FDA approved. Clean. Legal. Come in sealed containers. Are prescribed by licensed professionals. Sure, people are dying, but that’s because “they didn’t use it right.” It’s a killer, but it’s not as sure a thing or as well documented or warned about as smoking and cancer. 1. Put Legalization aside, and medicinal pain management pot use by folks dying of cancer, do you know the stats around Youth? 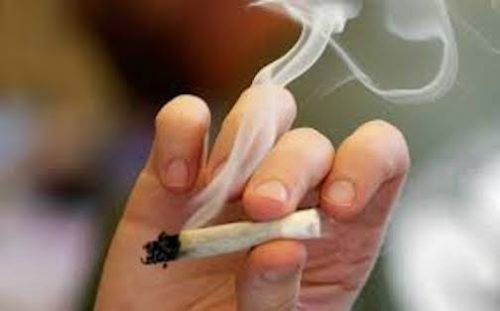 Actual scientific studies by real medical leaders such as UCLA and others have shown concretely (indisputably), that Pot use by teens shrinks the pre-frontal cortex. This area is the one responsible for impulse control. Teens and young adults with a pre-disposition to Psychosis (family history of Schizophrenia for example) can trigger early onset symptoms. We have seen this firsthand. Additionally, admits to ER’s by youth have spiked due to Marijuana use for panic, injury, and extreme stomach pain due to overconsumption (adults as well). The point? There is real, hard, scientific evidence that there is a danger here. Just like smoking. 2. Do you know how today’s Marijuana is prepared? It’s certainly not just picked from the backyard. Do you have the lab equipment handy at all times to test your stash? We often see signs outside dispensaries “DOGO”: Donate one. Get one. Some random guy can leave his unspecified THC concoction and trade it for yours. Real safe. 3. Ask yourself for a minute: Why? What is wrong with your life or your experience at the moment that requires you to want to get “high.” Is there something that needs to be addressed? Using pot to address an issue is the same as using pain meds instead of treating an infection. Do you want to be dependent on something else to be happy? Like the good doctor highlighted in his article: it’s not always about physical dependence. Often the substance is used to fill a void and if the void remains, one will keep upping the “dose” and “medication” to fill it. A mental gateway process that most often ends in a place you never imagined in the beginning. Like the doctor said: not everyone who smokes pot goes onto other drugs, but we have yet to meet an addict who didn’t use pot. Our kids today are lacking purpose, identity, direction. All the things that can help fill a void. But that’s a whole other topic. The point is that we need to pull away the mirage of “safety,” the legalization, the perception of Doctors in lab coats overseeing and approving the product and the idea that somehow this is a “risk-free” way to have a good time. It isn’t. Not by any stretch.